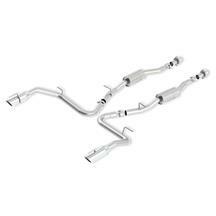 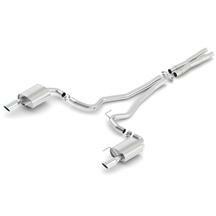 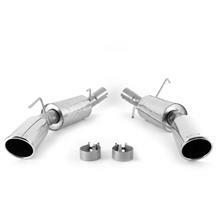 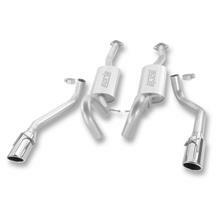 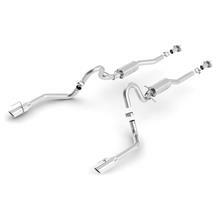 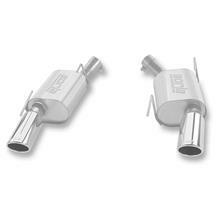 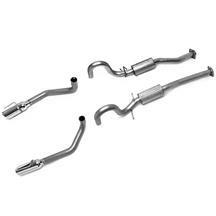 Give your Mustang a more aggressive exhaust tone with a Mustang Borla exhaust kit. 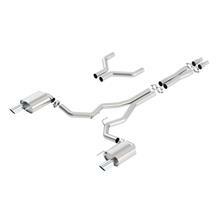 Choose from popular cat-back and axleback kits such as Atak and S-Type. 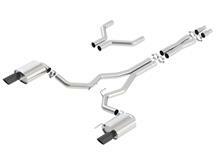 From Fox Body to S550, Borla exhaust for Mustangs of all years can add horsepower and performance. 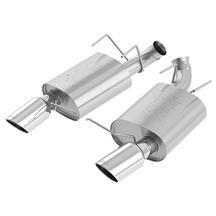 Borla performance is committed to providing world-class exhaust products which surpass the expectations of their customers. 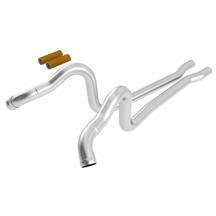 To that end, their facility is complete with a state-of-the art test and development center where they continually improve their manufacturing efficiency and standards. 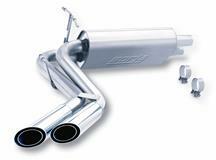 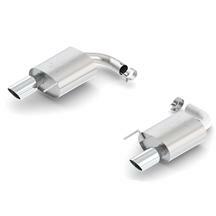 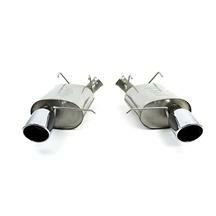 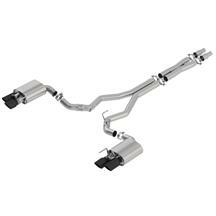 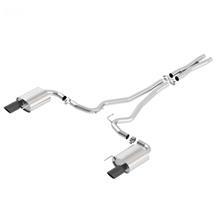 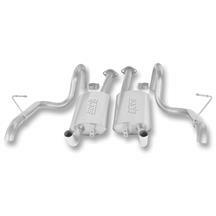 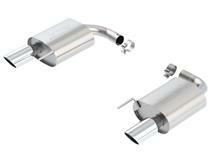 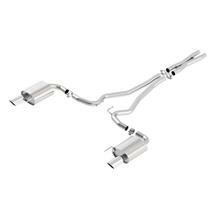 They have pioneered a variety of improvements in the design of performance exhaust systems. 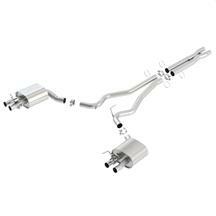 Alex Borla currently holds several US patents for innovative exhaust system technology, and the company has won numerous "Best New Product" awards in the industry. 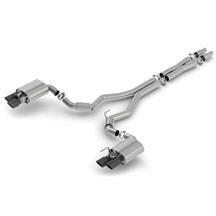 Every Borla Cat-Back™ system, Header and Rear Section is made from austenitic stainless steel (superior to 409 or aluminized steel) employing mandrel-bent tubing, all-welded construction, and is designed for accurate fit and easy installation. Over 30 years experience and special merge collector technology provide the ultimate in power and endurance. 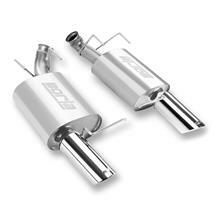 Late Model Restoration is proud to offer you the best exhaust with Borla exhaust products! Borla Performance Industries is the pioneer and leader in the design and manufacture of stainless steel performance exhaust. 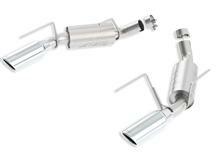 They began three decades ago as a manufacturer of exhaust systems for such "concours classics" as Rolls-Royce and Ferrari cars and have evolved into the premier manufacturer of today's performance vehicles for the street, off-road, and racing.